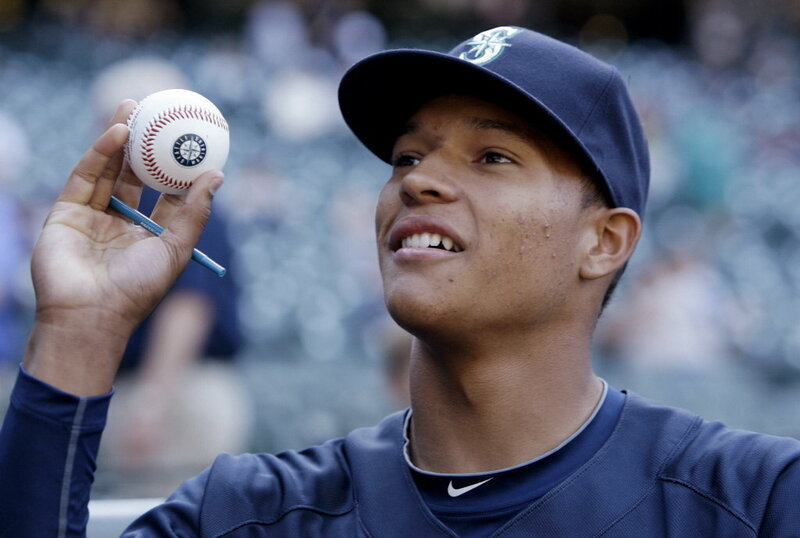 When the Mariners drafted Taijuan Walker, the entire Mariners fan base seemed collectively unenthused. Walker was an unknown high school pitcher who was primarily a basketball player in high school. He threw in the 90s, but would he ever be an MLB pitcher? Walker has answered pretty much every question asked about him. He’s improved his velocity and offspeed pitches, and has been so productive that some people (yours truly) have begun to compare him to a young Felix Hernandez. Walker looked like he had a chance of making his MLB debut before his 20th birthday last year. He fell off a bit, but went from pitching in high school in 2010 to pitching 126.2 innings in Jackson last year. He goes into this season ranked 5th among MLB.com’s top 100 prospects. Walker has never given up more than four walks per nine innings in season, and he’s brought it down to 3.6 BB/9 for the second straight season, despite jumping two levels in 2011, and two more in 2012 to end up in Jackson at that age. Keeping a handle on the homeruns he gives up will likely be a challenge for Walker, and if he ends up in the 8.0 K/9 strikeout range he’ll need to figure out a way to keep pitching ground balls. Walker has ace potential, and could be a true star, unlike most of the Mariners highly reputed farm system. You can’t not love this kid, he’s got potential to dream about. I really hope the guy answers the questions along the way and will get the M’s from contenders to WS champs. He could do that. I really don’t know what details of the failed trade that I can believe. I can say this without a doubt, I am so very glad that Taijuan Walker is still in the M’s system. Someday I hope that, like Felix, we can say Taijuan is ours and you can’t have him! I hope that the M’s are good enough this year that we can keep the majority of our prospects and see how well they do for THE MARINERS, and not watch them ‘make it or break it’ on some other team. Excellent write up on the prospects Casey, I enjoyed it. Thanks! Thanks for checking them out! I hope you come around more often! Hey Casey, choose which one you take if you were starting a team–Taiijuan Walker or Mike Zunino? It is very much a tough one for me to choose, I think though I would go with Zunino, though. I’d personally pick Taijuan. I think Zunino has potential to be a very good catcher. Walker has potential to be the best pitcher in baseball during his prime. Not to say either will reach or that one won’t reach their potential, just that I prefer the higher ceiling. Taijuan looks that good to you, and has the higher ceiling, huh. Ok I figured I ask you and see what you thought. Thx! Thanks for stopping by! Hope you check in occasionally.